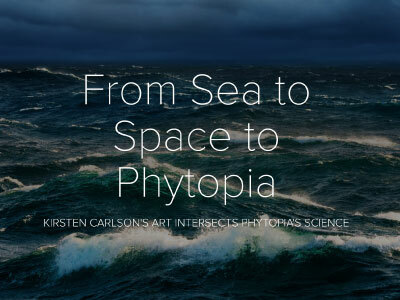 [12-Sep-17] Kirsten Carlson, a scientific illustrator, was the Schmidt Ocean Institute's Artist-at-Sea during the "Sea to Space Particle Investigation. Her illustrations depict Pacific Ocean plankton between Honolulu and Portland. Credit: NASA PACE.